Over the years, conditioning—both internal and external—has taught you to suppress emotions, suspect others, live in a stilted manner, create dis-ease, and above all, inhibit yourself. Crafty culprits such as worry, fear, guilt, regret, anger, "nonforgiveness," self-pity, and hurt regularly trap you and trick you into joylessness. The ego delights in your inability to get rid of these negative emotions and plays games that drain you. The mind—like the cell phone you feel incomplete without—beeps, buzzes, vibrates, and sends you messages that tear you away from whatever you happen to be doing. Your concentration and focus are overwhelmed with too much data! If you’re afflicted by any of these conditions, you’re living in a disempowered manner and are leading an unsatisfying life. 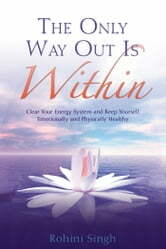 In this book, Rohini Singh will help you change all that. 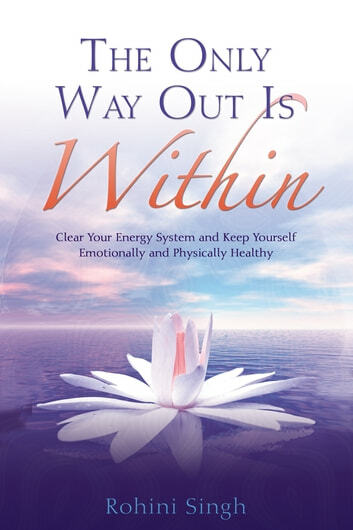 She explains how to keep the base of your well-being—the energy system—clean and clear, teaching you how to listen to your body and maintain your physical health. You’ll learn how to plug emotional leaks, stay away from emotional traps, and recognize the ego’s manipulations . . . and avoid them. You’ll discover the wisdom of "switching off" your mind in order to recharge it, realizing that the only way out is within.